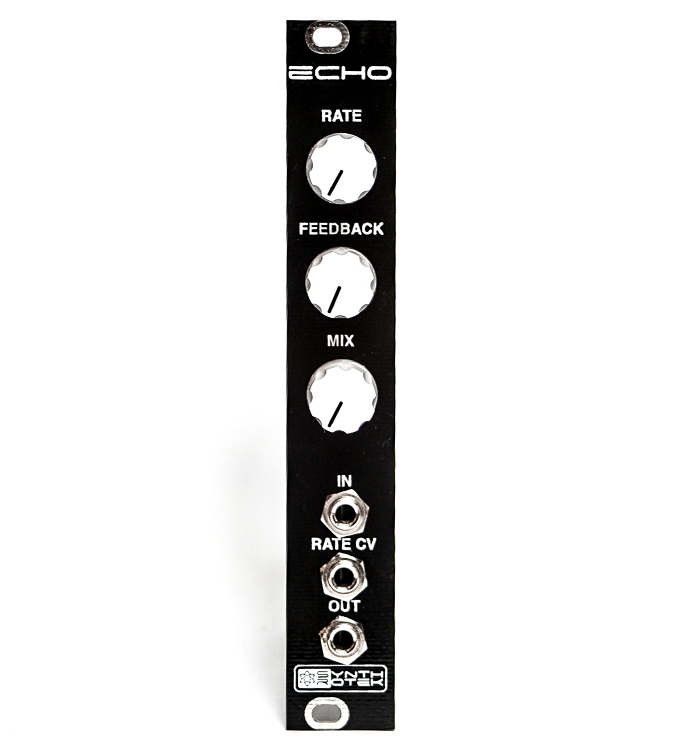 The ECHO (formerly known as the EKO) is a compact voltage-controlled echo/delay comes in the very tidy size of 4HP and is certain to be one of the best bangs for your buck. A very unique echo using the PT2399 IC featuring Voltage Controlled Rate. Manual controls for Rate, Feedback, and Mix. 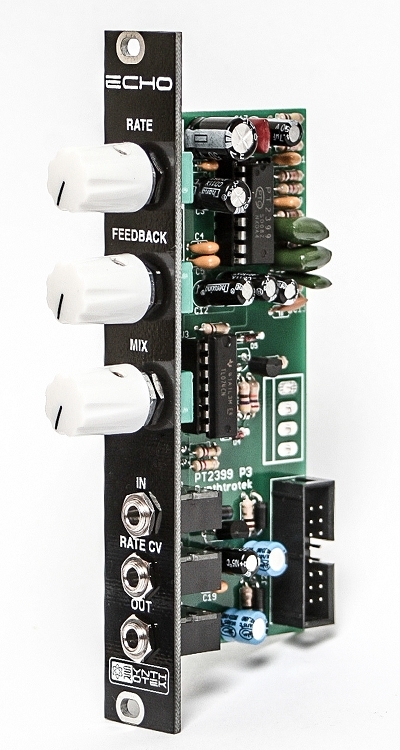 Beautiful and bizarre, CV modulation of the rate brings in ghostly pitch bent sounds to metallic reverbs. An effects module that everyone needs in their rig. ECHO Rate knob is setup to push the chip into extreme territory and will extend past the "useable" range of the PT2399 IC, meaning that once you turn the knob past 3 o'clock or so, the chip will stop operating and you'll only hear your dry signal. Attenuation, attenuversion, or using an offset will greatly help when running voltages into the Rate CV input. This way, you can tailor the modulation as you see fit. 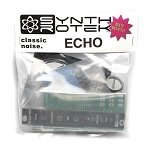 You will absolutely get the most out of your ECHO by using modules that attenuate, invert or offset your signal.